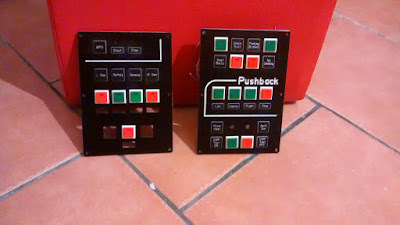 SAITEK modules assembled...and front panel ver 2 is completed. ...compared to the old version we now have new plastics for leds and mostly all wirings are cleaner than before. It is cleaner than the old configuration...and it will be easier to do maintenance jobs. After a long time, it's time to resume our Learjet Home-Cockpit's project. Then, with the help of an electric cutter, a jigsaw and Piero, we made some wooden structure where put down leds. 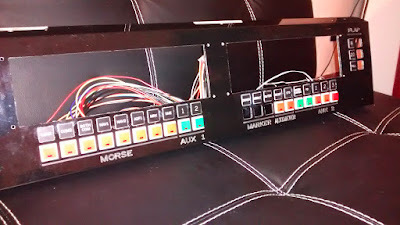 In a short time we will assemble them over the front panel and we will perform some test.